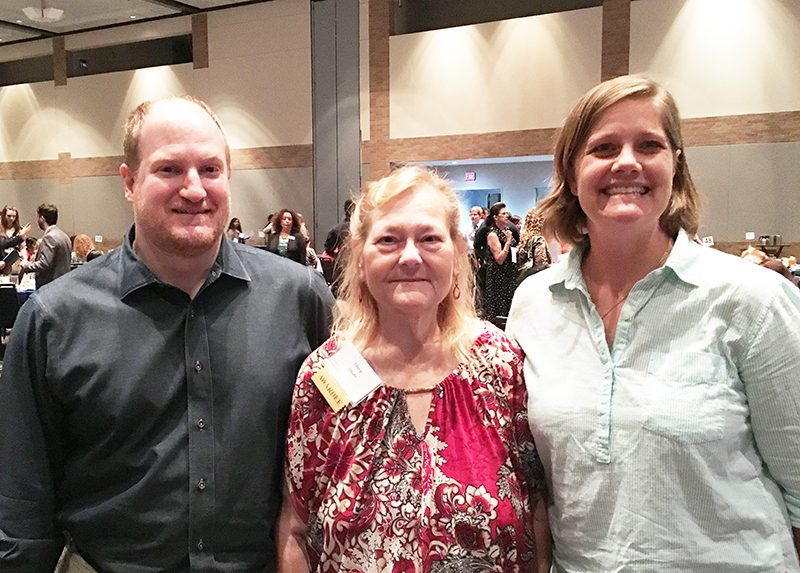 August 21, 2016 – DallasChocolate.org is proud to award the 2016 DallasChocolate.org Scholarship to Cheryl Jaquez. 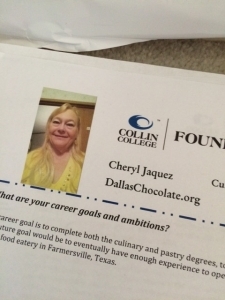 This is the fifth annual scholarship awarded to a student pursuing a degree in pastry arts at the Institute of Hospitality and Culinary Education at Collin College by DallasChocolate.org. Ms. Jaquez is returning to college while continuing a successful career in the accounting industry. She was introduced to cake decorating through informal classes and is now putting the pieces together to be able to open up her own cake shop. Evening classes at Collin College and the opportunities there to find classes to fit your own schedule are enabling her to pursue her new dream while being employed full-time. The goal of the Dallas Chocolate Festival put on by DallasChocolate.org is to educate the public about the artistry and enjoyment of fine chocolate. To further the next generation of chocolatiers, the organization introduced the scholarship program in 2012. Each year since that time a culinary arts scholarship has been awarded to a student with a record of academic success and an interest in chocolate. Previous winners have gained the skills needed to pursue a rewarding culinary career and will go on to open up their own stores in the future. The funds for this scholarship come from the proceeds of the Dallas Chocolate Festival, now in its seventh year. The 2016 Festival will be held at the Addison Conference Centre on Saturday, September 10. A special “Movie Night” event will take place on Friday, September 9. The Dallas Chocolate Festival Workshops will take place at Perfect Temper Kitchen on September 11. Tickets for all three events are available at DallasChocolate.org.